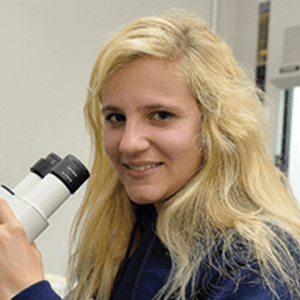 Sara Guarino has been observing beluga whale behavior at Sea World San Antonio for a few semesters. But this summer, her research got real. So real that she traveled 4,000 miles and then hopped on a boat in the Alaska’s Cook Inlet to see the natural behaviors of beluga whales in the wild. For Guarino, it’s something she feels called to do: She’s on a mission to protect aquatic mammals that are seeing their habitats disappear to global warming. “The goal of this project was to examine behavioral patters of wild belugas and compare them to those observed in the captive beluga population housed at Sea World in San Antonio, ” Guarino said, whose internship was funded by the American Psychological Society’s Summer Research Grant and took place at the Alaska SeaLife Center in Seward. She thinks her research in Seward will help wildlife researchers better understand the behavioral patterns of the endangered wild beluga. Her greater hope is that her data will help provide insight into their recovery and provide an opportunity to validate the behaviors in captive settings. Although Guarino’s primary research purpose at the Alaska SeaLife Center was to study beluga whales, she seized the opportunity to gather research on different animals to learn about their behaviors. She now has a collection of videos and photos of a variety of animals including humpback whales, orcas, sea lions, harbor seals, fin whales, Dall’s porpoises, puffins and other wildlife found in Seward.